Black Metal Cake Stand - Diameter approx 10" (25cm) - 1 cake stand plus extender. An elegant cake stand to show case your cakes. Comes with an extender so you can either have a stand that is 12cm (4.7") high or with the extender 19cm (7.5" high). As this is a metal cake stand there is some evidence of welding on the outer and inner parts of the cake stand. Do not dishwash wipe clean with a soft cloth. Image shown is for height illustration purposes only. 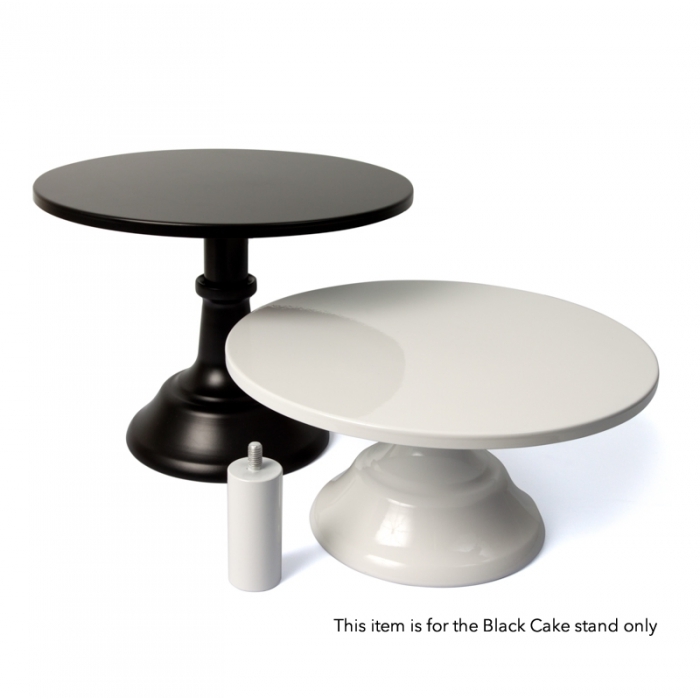 The item for sale is the black cake stand with the extender only.